Silent EVO 2 Series Heat Exchangers | Emmegi Inc. 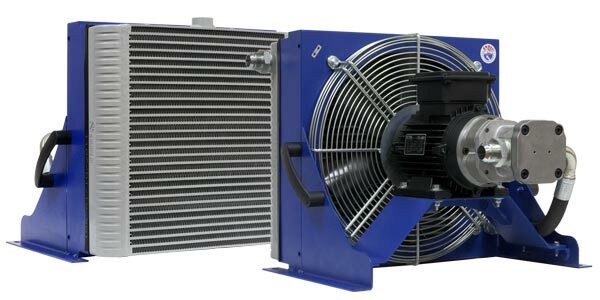 The Silent EVO 2 Series heat exchangers are designed to connect directly to the hydraulic rervoir. 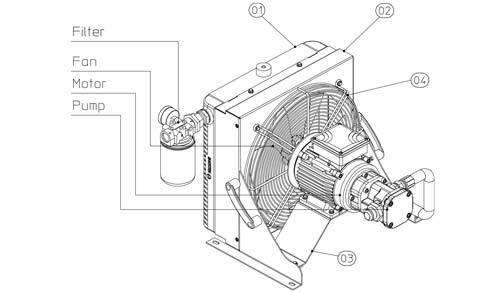 These offline air/oil coolers offer a reduced noise level while utilizing a screw pump system activated by an electric motor to automatically take the oil into circulation through the cooler and then return the oil back into the hydraulic circuit. This is a high efficiency heat exchanger cooling system. NOTE: New catalogs and designs are currently under development for the Silent EVO 2 Series. 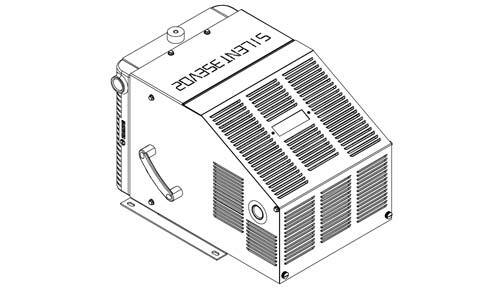 Information shown in catalog may not reflect current oil cooler design and specifications. Please contact us for more information. Oil Side Cleaning (internal): Dismantle & flush with counter current perchloride. Finish with compressed air flush. Air Side Cleaning (external): Disconnect motor; then use compressed air, water, or steam. The Silent EVO 2 series includes the option for an added metal housing that provides protection and noise damping. The metal cover allows full access to components for these heat exchangers such as the motor and screw pump for servicing and parts exchange.